Hi my name is Mary Timoney and I am a Certified Ironman University Triathlon Coach, a USA Triathlon Certified Level 1 Coach, USA Cycling Coach, ACSM Certified Personal Trainer, Group Fitness Instructor, and triathlete. My passion is helping athletes take their race, sport, or event to the next level. I have a wealth of experience in triathlon coaching, marathon and half marathon coaching, training plans, sports conditioning, and nutrition. Let's take your race to a higher level! Mary Timoney has extensive experience in triathlon training, cycling, sports conditioning, and nutrition. Her competitive track and cross country experience in the formative years set the foundation for marathon and multi-sport racing the past 2 decades. She completed the Marine Corps Marathon in 1994 and 2000 as well as several dozens of half marathon, 5K, an 10K races in various states across the country. She is a seasoned triathlete. In 2007 she completed her first Sprint Triathlon winning first place overall in her category. From there she went on to earn podium finishes in dozens of triathlons and participation in the ITU Triathlon World Championship 2017 in Rotterdam, Netherlands. 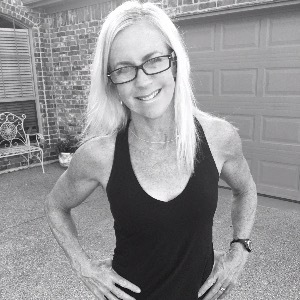 She is a seasoned triathlon coach with experience in all distance races. Her expertise includes Iron distance coaching, sport specific strength training, flexibility and injury prevention, and cycling. My only requirements for my athletes is that they are motivated and willing to DO THE WORK with zero excuses. Success. Coach Mary Timoney has been notified of your message.